At RITE we passionately believe that every individual has the right to live the life they were designed for, where every individual is able to discover their true self and explore a new purposeful lifestyle, being ale to rejoin their community and become a purposeful and active member of society. RITE is not an organisation in the traditional sense: it’s a way of life and everyone involved with RITE, whether as an employee, a volunteer, a participant in the programme or a referral agent is totally committed to initiating, supporting and delivering deep and lasting change in the lives of individuals trapped in destructive and desperate cycles of offending and/or substance mis-use. Together we want to see communities changed, one life at a time. RITE offers a range of programmes based around engaging beneficiaries who are disenfranchised within our community. Our beneficiaries, referred to as students, have often lived chaotic lifestyles, with a history of joblessness, substance misuse and/or an offending history. The range of inspiring programmes delivered by RITE provide hope for a better future, promoting purposeful living and active citizenship. The programmes provide skills training in a range of activities from life skills, functional skills, work experience, counselling support and a range of vocational training in Engineering, Horticulture, Agriculture, Health & Safety, Catering, Employability skills and ICT. The programmes are aimed at providing skills training in a practical rural environment to those furthest from the employment market. Through a relational approach, training engages and inspires students to develop a working lifestyle with the added benefit of counselling support to deal with life issues. Training is accessible to all, irrespective of educational backgrounds, with training delivered from Entry Level 2 to Level 2. Students completing the programmes, have an increased self-awareness, new skills, nationally recognised qualifications, addressed the issues that lead to a chaotic lifestyle, becoming positive members of their community and either work towards or enter employment. 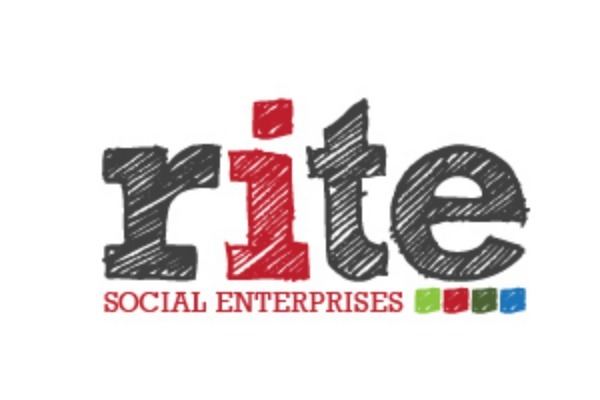 RITE directly works with 300 students a year at its rural land based training centre and supports other charitable organisations in the delivery of their training programmes both in community venues and in prisons, accounting for a further 300 students a year. Originally focused on West Mercia (Telford, Shropshire, Herefordshire and Worcestershire), services are now delivered across Warwickshire with transport provided across the whole region to ensure rurality barriers and transportation cost are not an issue to engagement. Training materials are continually updated and originally written to be relevant and engaging to ensure learning is enjoyable and achievable. All students complete either a recovery care plan or individual training plan, which they take ownership of and continually review throughout their programme, these plans supported by qualified staff ensure the students have an action plan with achievable goals to work to with a clear direction of moving away from chaos and into purposeful living. RITE supports the community by hosting and preparing the village show (circa 2000 people attend) with its students and hosts open days and general support to those in the community. Products made by students are sold at the show and also through the gift shop area at the offices of RITE and local community outlets. All products are either made from sustainable timber or recycled metal. An office furniture recycling and renovation scheme is the latest project of RITE, offering students an opportunity of practical, purposeful work experience in preparation for employment. The programmes have resulted in students transforming their lifestyle, breaking the offending cycle. This has been achieved through students engaging in and addressing life issues through our established therapeutic process. Our skilled tutors provide training that enables all students to achieve new skills, for some it starts with maintaining focus for a whole day, and then moving towards getting involved and achieving qualifications. 95% of all students gain at least two nationally recognised qualifications. Residential students have the opportunity to detox off their substances in a safe environment and learn how to function substance free in society. 100% of students completing a residential programme were discharged into accommodation (40% had a housing need upon admittance to the programme). Through the engaging approach taken by RITE, 85% of students complete their programme and around one third enter into employment, further education or volunteering. The impact of our programmes are measured using the Justice Star (Outcome Star) – all students completing a RITE programme demonstrate improvement in at least one aspect of the star categories. Most notably improvements are recorded in mental health, physical health, offending and relationships. The female residential programme has demonstrated that it is three times more effective at reducing re-offending at 22% compared to women released from prison at 62% reconviction rate. RITE provides an ‘Alternative to Custody’ (A2C) programme for women as a community sentencing option rather than entering prison. This provision represents a significant saving of approximately £1,400 per person per programme when compared to the cost of an equivalent length custodial sentence.